Little Mrs. Married: Five Questions! 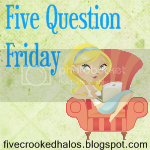 Five Question Friday with Mama M! 1. If you were free to just hop in the car & drive, where would you go? Or, if you could hop on a plane & go anywhere, where? I would hop in a car with a couple of girlfriends or my husband and go to Destin, Florida. I just would love a beach vacation right now! I also *really* want a day in New Orleans with Brad to go to the zoo & Cafe Du Monde & all of that. We're going in June for a wedding but it will be sweltering hot by then & not a good day for the zoo! But right now would be perfect! As for the plane idea, there are several friends I would love to go visit! I'd love to go see Laura (& Kim & Rainey & the other Kim & Jen, etc etc!) again in Pennsylvania. And I'd love to go see my good friend Amanda in California! Haven't been out to visit her yet. I've also been wanting to go visit my friend Rebecca in New York State ... not to mention several friends in NYC, mainly Brittany K & Nolan! "I've Got Your Number" by Sophie Kinsella. HILARIOUS. Oh, gosh. I can't remember. Long gone are the days of spring break!! I'd have to think on that for awhile, though, because i certainly had some fun times with girlfriends! 4. What do you put in your child's easter basket, or what was in yours growing up? We always got candy & other little fun things... maybe a coloring book or something? Once again, i don't remember! Been awhile! No... 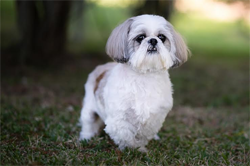 I prefer to keep it at shoulders or shorter year-round. I LOVE long hair on girls, but I just don't have the patience to handle my hair when it's long! Takes triple the time to dry...& drying my hair is my most hated task...besides maybe cleaning the bathrooms! HA!